Ever heard the saying “Sometimes it’s better to be lucky than good”? Well, that may be true, but sometimes you have to make your own luck, and that only comes through hard work. No matter the sins of Gene Simmons and Paul Stanley, real or imagined, a lack of motivation isn’t one of them. The two men have carried KISS through the good times and bad, the lean years only making the victories that much sweeter. 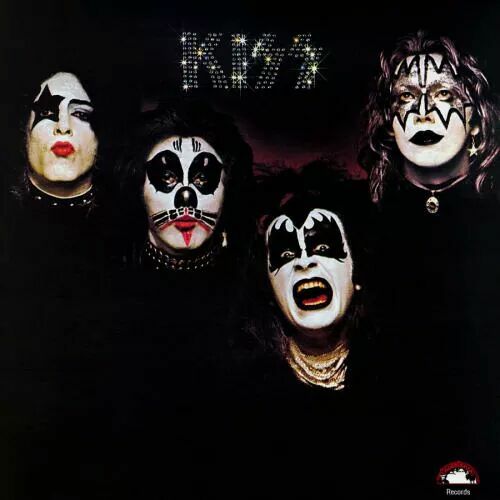 But every legend has to start somewhere, and with KISS it started in the early ’70s in the heart of New York City, a very different beast than the city that exists today. It was dirty, nasty business – dog eat dog, every man for himself – and if you wanted to make it, you had to be a little better, a little smarter, and maybe even a little more cutthroat than the next guy. With the lineup locked in, the band began intense rehearsals to get to know each other musically and soon had an album’s worth of tunes they deemed worth recording. Some people are born songwriters and I contend that Simmons and Stanley are cut from that cloth, but in order for all the planets to align, chemistry becomes paramount. Rarely has there been more immediate and combustible results than when these four men got together in a downtown loft and decided to conquer the world. From the moment “Strutter” begins, it was clear the band was destined for greatness. Hyperbole? Maybe, but there were a thousand bands banging away in the boroughs of NYC at the time, but no other group seemed to incense, intrigue, and intoxicate music fans like KISS did. Love ’em or hate ’em, they were only concerned if you chose to ignore them. “Strutter” and “Deuce” are the two most obvious examples of the songwriting acumen on display here, but the bulk of the material is still being played on stage to this day, and still brings a smile to your face, simple pleasures and all that. “Nothin’ To Lose” is a good time waiting to happen, no frills used, none needed. “Firehouse” is another KISS standard, featuring chord progressions that were already gathering moss in ’74, but the band put their heart and soul into every riff, making everything old new again. Frehley’s début as a singer would have to wait, the guitarist too shy to throw his hat in the ring on that score, but his first composition, “Cold Gin”, is a song that still thrills with its shambling groove and memorable chorus. It’s always a hoot to hear a teetotaler (Simmons) tout his favorite alcoholic beverage. But why quibble? You’re not one of those people who’s gotta know how a magician does every trick, are you? Then just sit back and enjoy the show. Simmons shows off his underrated bass playing in “100,000 Years”, Stanley taking lead vocal duties and Frehley delivering another solo that would give a generation of guitarists the impetus to follow KISS‘ lead and rock ‘n’ roll every night and party every day. By the time we get to the epic last track of the album, the immortal “Black Diamond” (named after the brand of makeup the band used for their iconic visages), the listener knows whether he’s in or not. KISS has always been a take it or leave it proposition, and the band has always been fine with that arrangement. They knew if they had a fan, they had them for life, or at least until disco descended upon us all like the Black Death. The arpeggiated chords that open the song are accompanied by Stanley’s already familiar tenor, but once the bombastic architecture of the meat of the song announces itself, drummer Peter Criss unveils his raspy vocal sound and gives yet another cause for celebration and reason to strap in for one last go-around. Ace positively showers sparks from his scintillating pentatonic runs, the band engaging in instrumental flourishes that were largely abandoned for simpler, more streamlined arrangements from here on out. But even if this was the height of KISS’ artistry (and in many ways, it was), the band’s ability to repackage, replicate, and resell itself to generation after generation has to be acknowledged and appreciated, even if only begrudgingly. KISS were more than a rock band. To a legion of teenagers – hell, even little kids too innocent to know what the bands was singing about half the time – they were superheroes. A group of aliens sent to Earth on a mission to spread the Gospel of Rock ‘N’ Roll and drive their parents crazy. Sure, there were bands with more talent, more insight into the human condition, more emotional resonance. But more entertaining? Not on your life. KISS were already the greatest show on Earth, the rest of the world just hadn’t caught up yet. But from the concrete jungle they sprung up out of, the band quickly became “The Hottest Band In the World”. They may have given themselves that title, but you’d be hard-pressed to find a more deserving candidate once the show started.